Major amendments to Canada’s Trademarks Act are set to broaden the ability of brand owners to protect fluid marks, but will also introduce new obstacles to slogans, which are currently more easily registered. To connect with consumers in the internet age, brand owners have turned to dynamic and attention-grabbing marketing strategies, including trademarks that are ‘fluid’ and change over time, rather than marks with a uniform format. Trademarks that consist of moving images and catchy slogans aim to cut through advertising clutter to highlight the brand. However, these non-traditional approaches are often at odds with the principles of Canadian trademark law: fluid marks and motion marks defy the long-held belief that the best way to build brand identity is through consistent use of static, unchanging words and designs, while slogans are often descriptive or of otherwise limited distinctiveness. Before taking advantage of the creative and commercial opportunities presented by these types of mark, brand owners should consult their IP counsel about the effect of these and related issues, as well as recent practice and upcoming legislativ e changes in Canada. The Trademarks Office has, without announcement, begun accepting moving image marks. In addition, when major amendments to Canada’s Trademarks Act come into force in 2019, the office will formally recognise the registrability of moving image marks and broaden the ability of brand owners to protect fluid marks, but will simultaneously introduce new obstacles to the protection of marks such as slogans, which are currently more easily registered. Fluid marks are trademarks that change over time. As a marketing strategy, the use of fluid marks involves the creation and use of a variety of different variations of a mark. The best-known example today is probably the ‘Google Doodle’ – variations of the Google mark on the homepage, which vary from mere ornamentation of the traditional typeface to elaborate user interaction. Other well-known fluid marks are the Absolut vodka bottle and Perrier, which temporarily replaced its name on its bottles with words such as ‘sexier’, ‘crazier’, ‘flirtier’ and ‘sassier’ in its usual script. From a trademark perspective, protecting and enforcing fluid marks poses unique challenges. It has long been a key principle of Canadian trademark law that the best way to build a strong brand is to use it consistently and statically over time, which allows consumers to become familiar with it as a source identifier. Over the years, Canadian courts have warned that deviations from the original mark are objectionable, dangerous and akin to playing with fire. A significant risk is cancellation for non-use of the original registered mark. In Canada, after the third anniversary of its issuance, a trademark registration can be summarily cancelled for non-use if the registered owner cannot show that the mark has been used in the country during the three years preceding commencement of the cancellation action. Determining whether a mark as used is close enough to the mark as registered, such that use of the modified mark will sustain the registration, requires case-by-case analysis. While minor updates and tweaks that are unimportant to the mark’s overall commercial impression are unlikely to result in cancellation, even relatively modest amendments can pose problems (eg, the addition of a descriptive word or the omission of a design element). Accordingly, before adopting a fluid mark strategy, brand owners should consult with counsel to determine whether the existing registrations will be maintained by use of the modified marks and how to best protect their fluid marks. The best way to maintain a registered mark is to continue to use it as registered with all registered goods and services, concurrently with the variations. The strength of the mark should also be considered before launching a fluid branding initiative. Presenting multiple versions of a weak mark could dilute the mark or render it generic. If the mark is not already strong, frequently changing it makes it more difficult to build consumer recognition. A multi-faceted approach is required for a successful fluid branding initiative. In addition to continuing to use the mark as registered and, where practical, registering the modified versions, several other trademark protection strategies are available. In many cases it is possible to register the ‘core’ of the mark’s identity. Consideration should also be given to registering a series of marks which, while not encompassing every variation of the mark, may be representative of the nature and scope of the various iterations. The registration of three or four representative variations of the mark could effectively stake a claim for a range of variations. In addition to these strategies, brand owners should remember that common law rights in a mark can be acquired through use, and that appropriate marking and legends can assist in ensuring that modified marks function as source identifiers. In addition, brand owners and their counsel should discuss possible protection under the copyright, industrial design and patent regimes. The upcoming amendments to Canada’s trademark legislation represent a substantial expansion of what can be registered as a trademark in Canada. Where colour forms the core of a brand’s identity, registration of a mark consisting only of a colour can be sought under the new legislation. The ability to register “the positioning of a sign” can also help the protection of fluid marks that feature varying elements in consistent arrangements. The upcoming amendments will also specifically permit the registration of fluid marks that are so fluid as to be in motion. Moving image marks have long been considered unregistrable, but the expanded definition of ‘trademark’ specifically references a ‘sign’ that is ‘a moving image’. Historically, the Trademarks Office objected to the registration of moving image marks on the basis that an application for such a mark was, in fact, an application for a multiplicity of marks, contrary to a regulation that a separate application be filed for each trademark. While many Canadian practitioners were of the view that the office could not recognise the registrability of moving image marks without legislative amendment, it has begun accepting such marks in advance of the implementation of the amendments expected in 2019. The office did not formally announce its change of practice and has not issued a practice notice relating to moving image marks, something that it did when it began accepting sound marks in 2012. One of the best-known moving image marks to have been registered in Canada is the gun barrel sequence found in the opening of all official James Bond films. In addition, United Airlines has registered a moving image mark featuring its ‘Big Metal Bird’ character and Planet Fitness has registered a moving image mark in which a fist emerging from the Planet Fitness logo gives a thumbs-up gesture. From reviewing the approved applications for these marks and the office’s previous statements about moving image marks, it is apparent that the office has set specific requirements for applications for such marks, including drawings in the nature of freeze frames showing various points of the movement, a statement that the mark is a moving image or motion mark, and a description of the movement sequence. Applicants must also file an electronic representation of the motion mark. Slogans, sometimes referred to as taglines, are short, catchy phrases intended to cut through advertising clutter and draw consumer attention to a brand and to the advantages or attributes of the brand owner’s goods or services. Slogans have long been recognised in Canada as being capable of functioning as source identifiers and – subject to certain restrictions – are registrable as trademarks. Currently, the primary obstacle to registration of a slogan is the issue of whether it is clearly descriptive or deceptively mis-descriptive of a character or quality of the associated goods or services. Given the function of slogans to draw attention to the advantages or attributes of the associated goods, descriptiveness objections during examination are common. Currently, examination in Canada does not consider the inherent distinctiveness of a mark, apart from its descriptiveness. Under the new legislation, slogans may face an additional obstacle to registration. Specifically, they may be rejected during examination on the basis that they are not inherently distinctive. The new legislation will require applicants to furnish the Trademarks Office with evidence to establish that a mark is distinctive as of the application’s filing date. Such evidence will be required in specific enumerated circumstances and if the office’s “preliminary view is that the trademark is not inherently distinctive”. The office has suggested that laudatory phrases and phrases that merely provide general information about goods or services are not inherently distinctive and are thus unregistrable without filing evidence of distinctiveness. This will presumably impact on the registration of many slogans. Slogans may also fall into this category by virtue of being descriptive of the goods or services, but without reaching the ‘clearly descriptive’ threshold that currently applies. Alternatively, the slogan might be descriptive, but not sufficiently descriptive of an intrinsic characteristic or quality of the goods or services as is required to reach that threshold. As a result, such slogans may need to be used before they are registered so that evidence of acquired distinctiveness can be provided to the Trademarks Office. While posing unique challenges from a trademark perspective, fluid marks, motion marks and slogans also present unique opportunities for creative and dynamic engagement with consumers and – especially in view of major changes to Canada’s trademark regime – close collaboration with IP counsel. Now is the time to review trademark portfolios and use in Canada to consider the best way to protect and strengthen brand owners’ fluid and core marks of interest. Janice Bereskin is a partner with Bereskin & Parr LLP and a co-leader of the firm’s trademarks practice group. Her practice focuses on Canadian and international trademarks. She has in-depth experience in search analysis, filing applications, oppositions and cancellation proceedings. 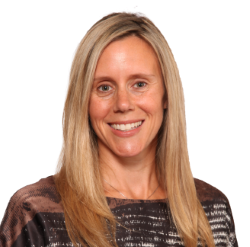 Ms Bereskin manages large trademark portfolios of Canadian and international companies. She offers clients strategic advice for protecting and managing their trademarks in Canada and abroad. 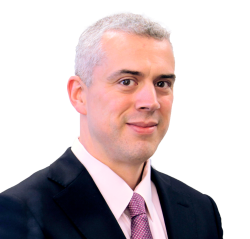 Jonathan Burkinshaw is a partner, lawyer and registered trademark agent at Bereskin & Parr LLP, who specialises in trademark law. His practice includes providing practical guidance on selecting and protecting new marks, filing and prosecuting applications, as well as representing clients in opposition, cancellation and infringement proceedings. Mr Burkinshaw manages the Canadian trademark portfolios of both large Canadian companies and brand owners from outside the country, including in the fields of medical devices, personal care products, computer hardware and software, and restaurant services.